Hotel Garuda is nestled in the heart of the city close to the market, Post Office, Bank, Cinema Hall and The Mall. Hotel Garuda is one of the most popular hotels in Darjeeling and is renowned for offering contemporary and luxurious amenities at the disposal of the guests. 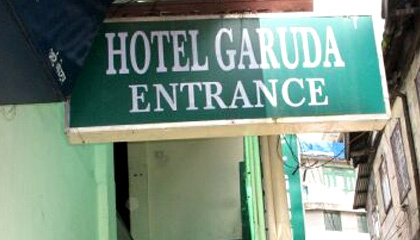 Enthusiastically serving guests with the basic motto of quality over quantity, Hotel Garuda has a growing reputation and is counted among the most sought after hotels in Darjeeling. Offering the finest services and amenities and conveniently located in the city center, Hotel Garuda, is the one of the finest hotels in the Darjeeling. 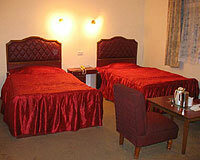 Hotel Garuda offers 26 spacious exquisite rooms and terrace equipped with latest modern amenities. The restaurant at Hotel Garuda serves delectable array of authentic Tibetan and Nepalese Cuisine besides mouth-watering Chinese, Continental and Indian vegetarian and non-vegetarian dishes.